Adventure #3 | College is……..
Hello there! I’ve been busy recently, and haven’t kept up with my posts. So some new things going on…….. I finally got accepted to medical school YAY!!!! Now onto some of the new adventures. So I recently decided to go out of my usual comfort zone a bit and try something completely different. My friend goes to Downtown Disney Swing all the time, so this time she let me tag along. It’s great fun! There are lots of people, but unfortunately, I am not a good dancer soooo I don’t know when I, personally, will be going back to dance. But no matter, it was fun to see everyone bonding over a mutual love of swing dance! So swing dance isn’t really my forte, but I definitely recommend it to any swing enthusiasts out there! Some other fun things I’ve done recently is see Pitch Perfect (2 times actually). It’s a great comedy for all of those who loved Bridesmaids or Glee!! Definitely highly recommended. And of course it wouldn’t be the college life without FOOD. 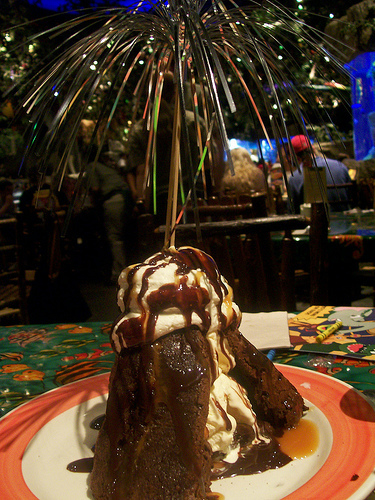 So of course we all went out to try the Volcano Cake from Rainforest Cafe. Great for anyone who needs a sugar rush! This cake is delicious especially when you start getting sick of pizookies. This wouldn’t be a college blog without something academic though. I recently started a new senior project!! I will be looking at network biology. We’ll see how that goes. Hopefully I discover something so I can post about it later! 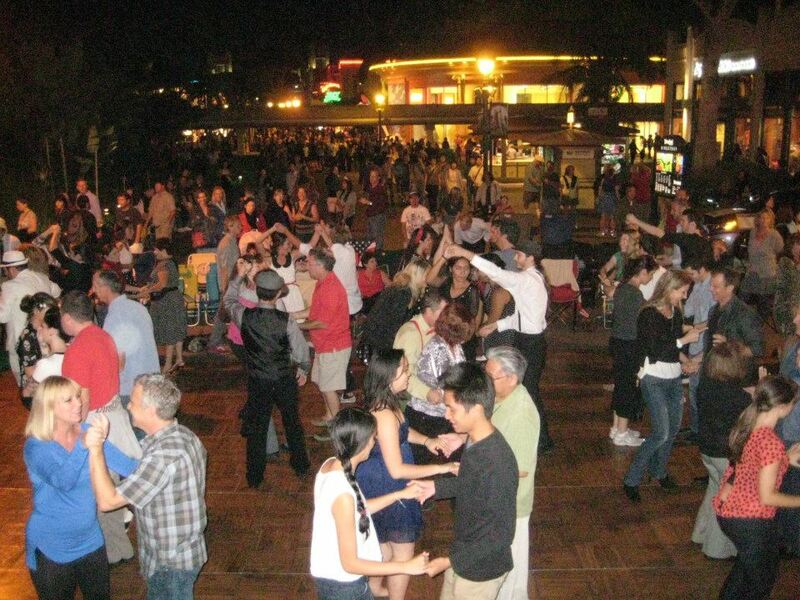 This entry was posted in Uncategorized and tagged chapman, college, downtown disney, pitch perfect, swing dance. Bookmark the permalink. Hello you have a fantastic website over here! Thanks for posting this interesting stuff for us! If you keep up the good work I’ll visit your site again. Thanks! Spot on with this write-up, I seriously believe that this amazing site needs a great deal more attention. I’ll probably be back again to read through more, thanks for the info! You’re so interesting! I do not suppose I’ve read through a single thing like this before. So nice to discover somebody with a few original thoughts on this subject matter. Really.. thanks for starting this up. This website is one thing that’s needed on the web, someone with a little originality! This is the right web site for everyone who really wants to understand this topic. You understand a whole lot its almost hard to argue with you (not that I actually will need to…HaHa). You certainly put a new spin on a topic that has been discussed for a long time. Wonderful stuff, just great! Spot on with this write-up, I really believe that this amazing site needs a great deal more attention. I’ll probably be returning to see more, thanks for the info! An impressive share! I have just forwarded this onto a co-worker who had been conducting a little research on this. And he in fact bought me breakfast due to the fact that I discovered it for him… lol. So allow me to reword this…. Thanks for the meal!! But yeah, thanx for spending time to talk about this matter here on your internet site. I was pretty pleased to find this page. I need to to thank you for ones time for this particularly wonderful read!! I definitely savored every bit of it and I have you book marked to see new information on your web site. I’m amazed, I must say. Seldom do I come across a blog that’s both equally educative and amusing, and without a doubt, you have hit the nail on the head. The issue is something that not enough people are speaking intelligently about. Now i’m very happy I found this in my hunt for something concerning this. Right here is the perfect website for anyone who would like to find out about this topic. You know a whole lot its almost hard to argue with you (not that I personally will need to…HaHa). You definitely put a brand new spin on a topic which has been written about for ages. Excellent stuff, just great! Greetings! Very helpful advice within this article! It’s the little changes that will make the largest changes. Thanks a lot for sharing! After looking into a number of the articles on your site, I seriously appreciate your way of writing a blog. I book marked it to my bookmark webpage list and will be checking back soon. Please visit my web site as well and tell me your opinion. Next time I read a blog, I hope that it won’t fail me just as much as this particular one. After all, Yes, it was my choice to read, nonetheless I really believed you would have something helpful to talk about. All I hear is a bunch of whining about something that you can fix if you weren’t too busy looking for attention. This is a very good tip particularly to those fresh to the blogosphere. Brief but very accurate information… Appreciate your sharing this one. A must read post!